The week after San Diego Comic-Con, the London Film And Comic Con happens. In London. Funny that. 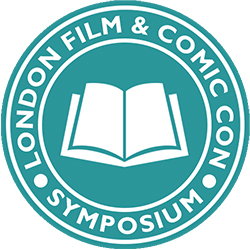 London Film and Comic Con’s Comic Zone is organised by comic creator Tony Lee – and this year is adding their first ever London Film and Comic Con Symposium. With an ‘Artists Alley’ page now on the London Film and Comic Con website, Tony’s plans for a Symposium at the upcoming convention are also coming to fruition. A series of ‘micro-lectures’ given throughout the weekend, each one no longer than twenty minutes in length, limited attendance and given by some of the top professionals in the industry today, with speakers including Dan Slott, Frazer Irving, Mark Buckingham, Rachael Stott, Kieron Gillen, Simon Bisley and many others, the Symposium is targeted purely towards people looking for their next step in comics. Although primarily aimed at the Artists Alley, there will also be a limited amount of seats open to the public for each talk, given on a list basis – and again, completely free of charge for all attendees.